Cash flow is the heartbeat of any business. There are many factors to consider in an end-to-end Accounts Receivable process, and optimizing the various components can be tricky when trying to keep all stakeholders happy. Considering each process component alone and together is an important step; how they affect each other has a critical impact and is the key to efficiency and effectiveness. Automation brings additional opportunities but again this needs to be very well considered and implemented with balanced customer engagement at the fore. Cross-business engagement in the design and operation of this important customer lifecycle component is essential to make a winning formula. AssuringBusiness expertise makes this goal a reality. 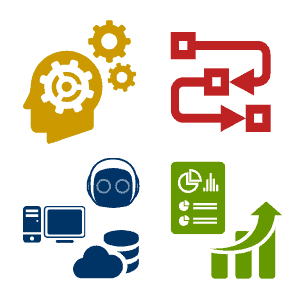 Enhance your Receivables Management processes with pragmatic, effective training. 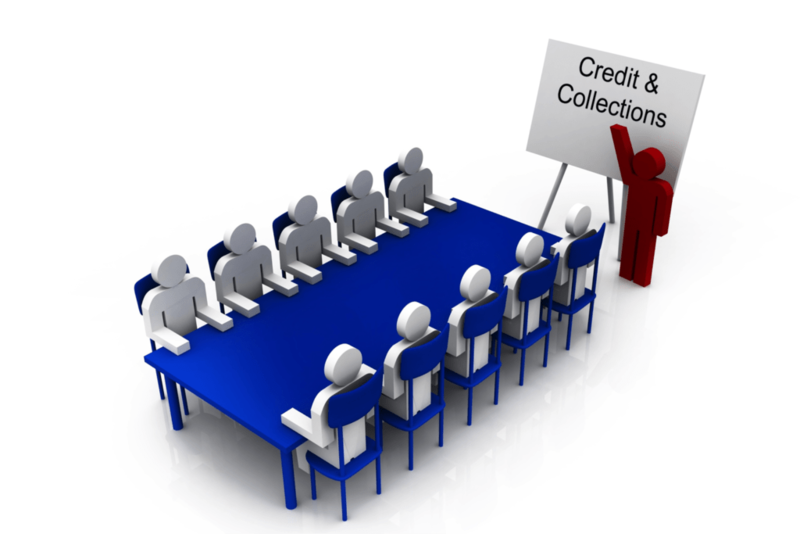 Reduce bad/doubtful debt, improve cash-flow and enhance customer experience. With aging, cash collected loses significant value. Company cash flow and working capital positions drive other business impacts; normally the faster cash is collected (at reasonable cost) the stronger the business and opportunities to leverage these incomes. 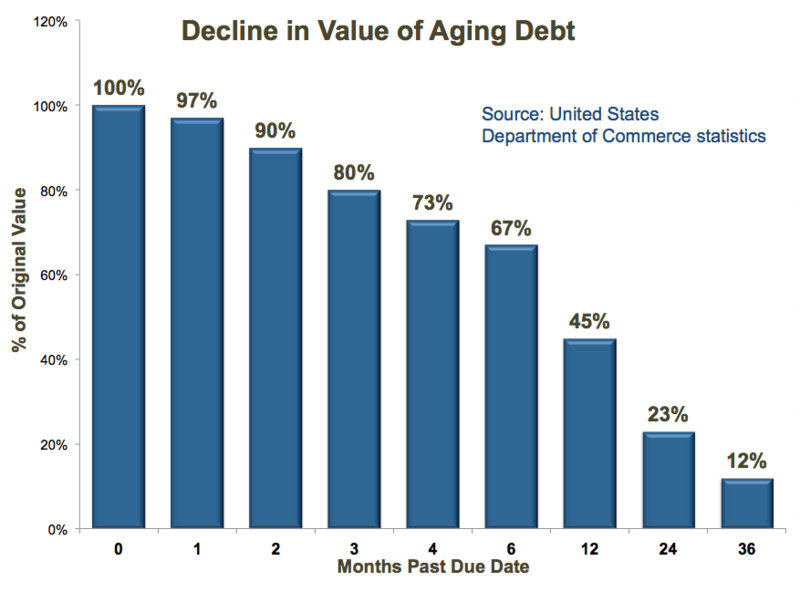 The chart here shows a study undertaken by the US Department of Commerce depicting the impact on relative value as aging increases - although now a rather old study it does illustrate this point well. Ready for a stronger heartbeat? AssuringBusiness partners with clients to review and improve entire processes, or tweak individual components to enhance performance. Covering any or all aspects of Credit Origination, Credit Control (Credit Management), Collections, Recovery and Agency Management practices, our consultants will supply all necessary practical advice and lead or support change implementation as required. Our expertise in the end-to-end Accounts Receivable process means that we can engage with all business touch-points to align and achieve a common set of goals that satisfy product, customer, risk, regulatory, and financial management needs. Our consulting capability is supplemented by highly successful training and coaching services. AssuringBusiness brings essential and timely cash flow and customer experience gains. AssuringBusiness provides proven expertise and methodologies to ensure that your Receivables Management targets are met. Accounts Receivable Health-check - a fixed duration and cost review focussed on key process components to generate rapid results. It is both a tactical tool to identify and implement immediate key changes and benefits and a strategic tool to lay a foundation for continuous improvement and cross-business alignment. Typical review periods are 2-4 weeks depending on exact scope. Accounts Receivable Performance Uplift - targeting performance quick-wins and itemizing a detailed plan for improvement of existing policy, process, practice and automation platforms. The goal is to squeeze significantly more value from the existing organization, operational and technology infrastructure deployed. 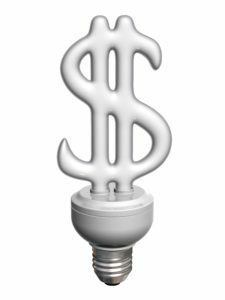 Accounts Receivable Re-engineering - where re-tuning of existing operations is inappropriate, a more comprehensive restructure and redesign may prove more beneficial. Our in-depth insights to your business needs and opportunities will ensure optimized restructure and operations. Driving execution directly or partnering with your own program management functions. Advisory and Bespoke Review - our expertise can be leveraged towards specific areas of interest or support as required, for example, improvement of customer treatment/dunning plans or process automation. A proposal may be generated following appropriate requirements discussion. Enter your details below and we will provide more details in respect of your enquiry. If there are any specifics you wish to know, please enter these in the text-box provided and we'll respond best we can. Energize and align key cross-business process stakeholders and equip your Credit and Collections teams with enhanced expertise to improve collection rates and customer experience.